We have recently introduced a facility to allow you to pay school expenses online with your debit or credit card. The main method of payment is outlined below. Here you can make a payment using your debit/credit card. This is credited to your account straight away which is both more convenient and secure. 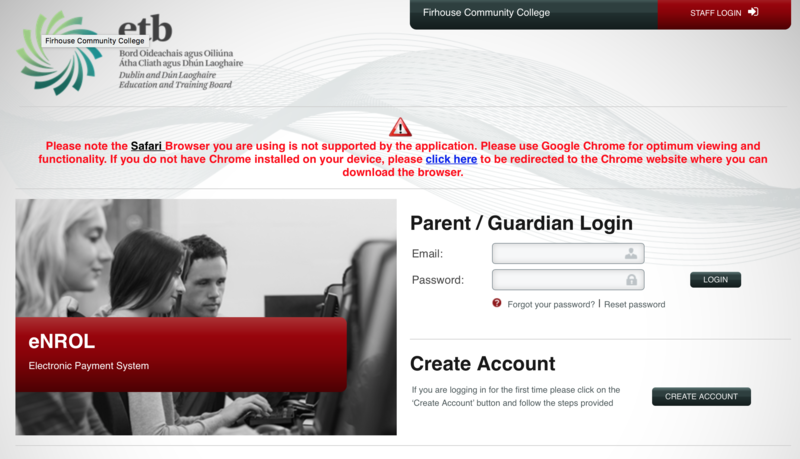 NB: You will need to set up an account before you start using the online system by clicking on CREATE ACCOUNT. Please make sure that your password contains the following: Upper case, Lower Case, Number and Symbol. For example: Firhouse2018!